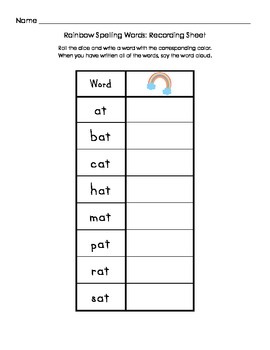 These can be used for morning work, practice, or word work. The first page is directions for the second page. 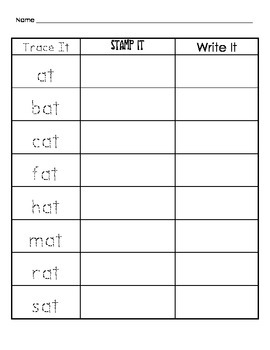 The third page you will need stamps. 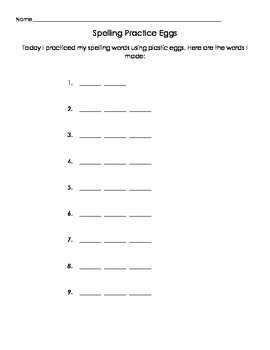 The fourth page goes with eggs to spin and match (write the beginning letters on one side of egg and the ending on the other, spin to match). The final page uses a word cube with the words listed on the paper on each side of the cube. 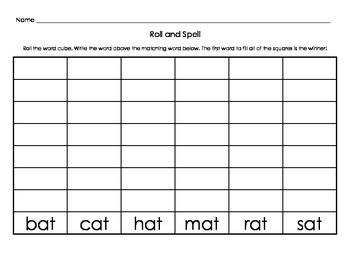 Students roll the cube and write the words until they have a winner. The words used are the same throughout.